High tenacity Bonded 100% Polyamide (nylon). 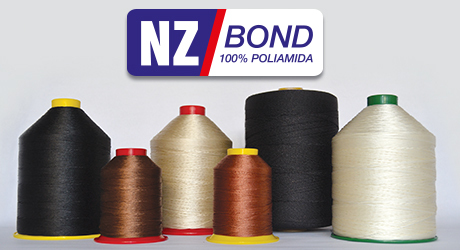 The Bonded Nylon Thread is composed of high tenacity polyamide filaments (Nylon) that have excellent friction resistance produced in the seam. The special finish prevents the separation of cables, offering great seam. 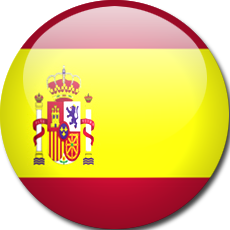 Main Applications: Shoes in general, handbags / luggage / bags, sports articles, automotive sewing, upholstery / mattresses and PPE. Remarks: we have the right twist option for the products NZ-60, 40, 30 and 20. The Bonded Nylon Cord is composed of high tenacity polyamide filaments (Nylon) that have excellent friction resistance produced in the seam. The special finish prevents the separation of cables, offering great seam. Main Applications: Shoes in general, sports articles, automotive sewing, and PPE. 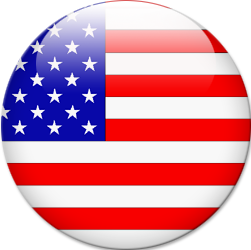 Remarks: we have the right twist option for the products NZ-16, 10 and 8. 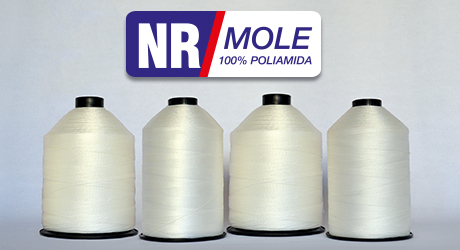 High-tenacity Bonded 100% Polyamide (nylon). 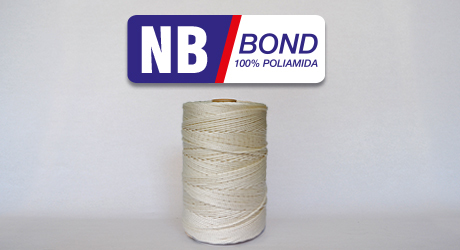 The Bonded Nylon Monocord Yarn is composed of high tenacity polyamide filaments (nylon) that have excellent friction resistance produced in the seam. The special finish prevents the separation of cables, offering great seam. Main Applications: Female shoes (Reinforcement Yarn). 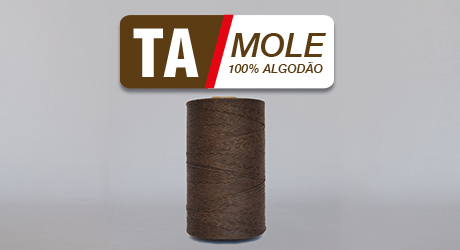 The Bonded Nylon Blaque Yarn is composed of high tenacity polyamide filaments (Nylon) that have excellent friction resistance produced in the seam. The special finish prevents the separation of cables, offering great seam. Main Applications: shoe soles (shoes stitching and side shoes stitching) and safety shoes (PPE). 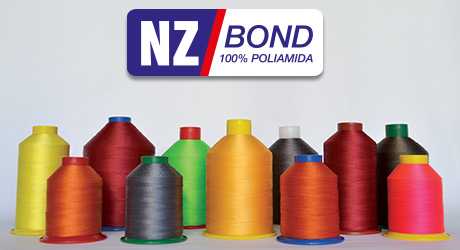 The Bonded Nylon Assembling Yarn is composed of high tenacity polyamide filaments (Nylon) that have excellent resistance. The special finish prevents the separation of cables. The construction, which is composed of robust ticket, provides an ideal condition for the necessary traction to upholster seats and backrests in the assembly of chairs. Main Applications: assembly of chair (upholster seats and backrests). High tenacity Soft 100% Polyamide (nylon). 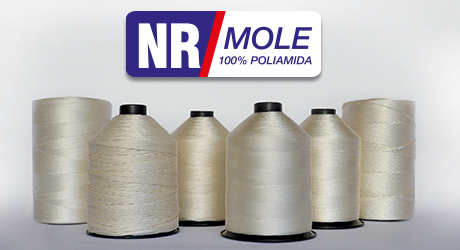 The Soft Nylon Thread is composed of high tenacity polyamide threads (nylon) that have excellent resistance during the seam. The lubricated finish reduces the heating effect produced by the friction of the needle. Main Applications: sports shoes, safety gloves and seams in general. 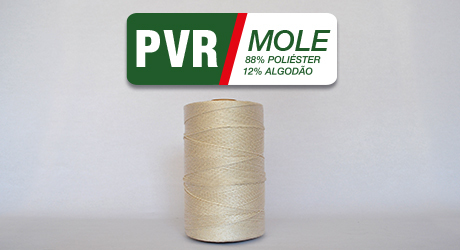 The Soft Nylon Cord is composed of high tenacity polyamide filaments (nylon) that have excellent resistance in the seam. The lubricated finish reduces the heating effect produced by the friction of the needle. 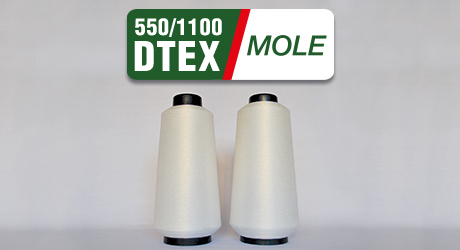 Main Applications: seams in general and upholstery. High tenacity Bonded 100% Polyamide. 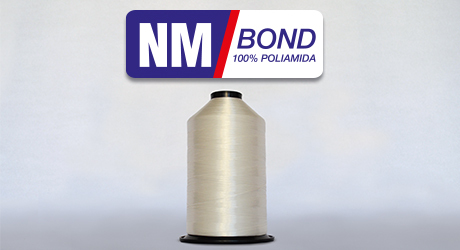 The Bonded Polyester Thread is composed of high tenacity polyamide special fibers that have excellent friction resistance produced in the seam. The special finish prevents the separation of cables, offering great seam. Main Applications: shoes in general and safety gloves. High tenacity Waxed 100% Polyester. 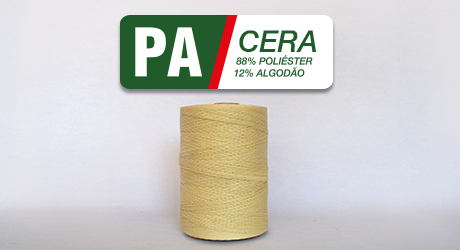 The Waxed Polyester Thread is composed of high tenacity polyester filaments. The waxed finish offers an excellent performance in the seam. Our own waxing technology differentiates us by making Waxed Products more resistant to weather conditions. Main Applications: manual seams, soles, jewelry, semi-jewels, and balls. High tenacity Waxed Twisted 100% Polyester. 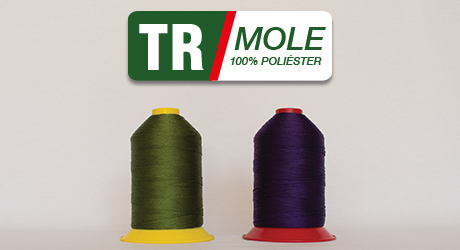 The Waxed Twisted Polyester Yarn is composed of high tenacity polyester filaments and the application of waxing is tailor-made in order to provide great performance in sewing shoes and heavy fabrics. Our own waxing application technology differentiates us by making Waxed Twisted Polyester Yarn more resistant to weather conditions. High tenacity semi-waxed 100% Polyester. 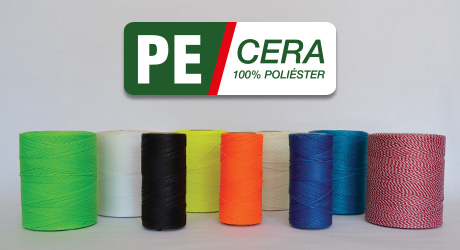 The Semi-Waxed Polyester Yarn is composed of high tenacity polyester filaments, and its semi-waxed finish offers an excellent performance in the string process (waster) for which it was specially developed. The reduced quantity of wax allows that the yarn slides in the overlock and, at the same time, it performs a balanced traction in its entire contour. Main Applications: assembly of uppers, string (waster). The Waxed Polyester Tape is composed of high tenacity polyester filaments. Its waxed finish offers excellent resistance and durability. Our own waxing application technology differentiates us by making the Waxed Polyester Tape more resistant to weather conditions. Main Applications: telephony, saddlery, and recreational balls. High tenacity trilobal 100% Polyester. 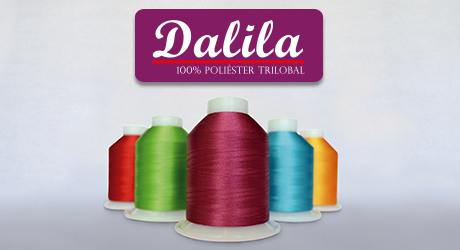 Dalila Thread is composed of high-tenacity trilobal polyester threads that reflect more light while providing high brightness. The raw material of quality and lubricated finish become Dalila Thread resistant to high speeds of electronic embroidery machines. Remarks: temporarily suspended production, please consult our stock. 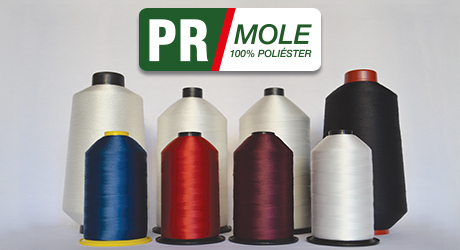 The Soft Polyester Thread is composed of high tenacity polyester filaments. The lubricated finish reduces the heating effects of the needle by the friction produced in the seam. Main Applications: sport shoes, mattresses and matelassé. High Tenacity Soft 100% Polyester. 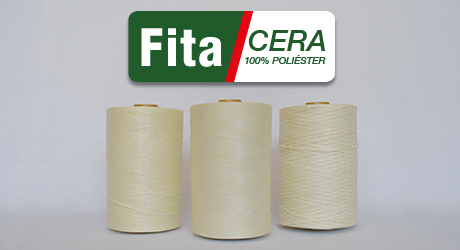 The Soft Polyester Yarn is composed of high tenacity polyester filaments. Its lubricated finish reduces the heating effects of the needle produced by the friction in the seam. Main Applications: shoes, sports articles, lifting belts, and big bags. 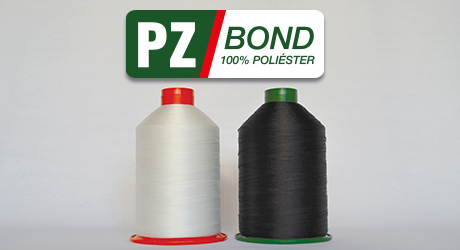 The Soft-Twisted Polyester Yarn is composed of high tenacity polyester filaments. Its lubricated finish reduces the heating effects of the needle produced by the friction in the seam. 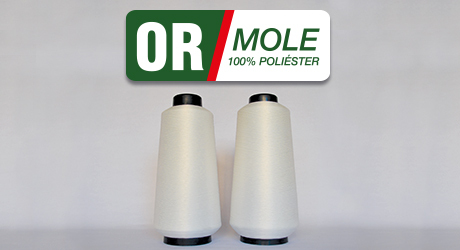 It is excellent for a decorative seam in shoes and heavy fabrics like leather. Main Applications: shoes and decorative seams. 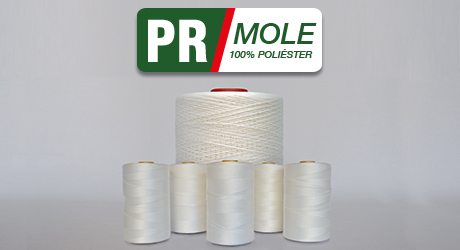 The Textured Polyester Yarn is composed of continuous polyester filaments, developed to withstand high-speed machines used in the industry of mattresses. A continuous thread without nodes is prepared to operate with minimum interruptions. Main Applications: mattresses and overlock. High-tenacity 88% Polyester and 12% Cotton. 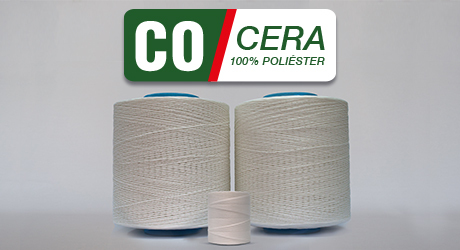 The Polyester Yarn + Soft Cotton Fiber is comprised of high tenacity polyester and cotton fibers. The resistance of Polyester and the presence of cotton enable better modeling of uppers, a process known as a waster. Main Applications: sports shoes, child shoes, and flat shoes. 88% Polyester and 12% Waxed Cotton. 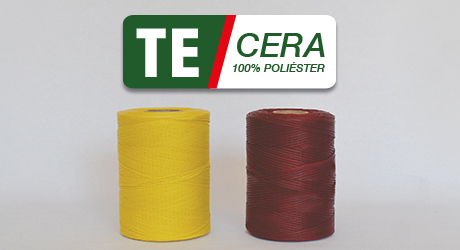 The High Tenacity Polyester Yarn with Waxed cotton is made from high tenacity polyester filaments and cotton fibers. The Soft Polyester Monocord Yarn is composed of high tenacity polyester filaments and does not have any type of finish, which makes it a high-efficient yarn. Main Applications: separation of collar and filters. 100% Soft-Twisted Cotton to dot. 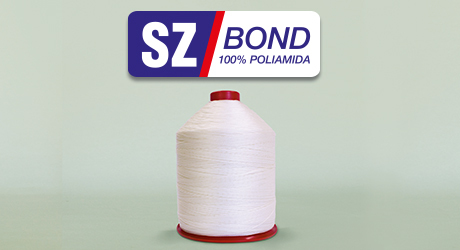 The Soft-Twisted Cotton Yarn is composed of cotton fibers and is highly used to enhance the seam, where the visual effects of the braid make this special yarn intended for embellishments. Main Applications: shoes (dotting) and welts. 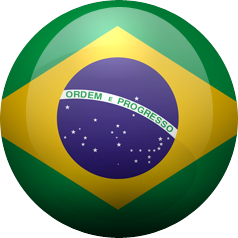 © Linhasita Indústria de Linhas para Coser LTDA | All rights reserved.